When you’re listening to music or focusing on your deadline work, your Windows 10 computer crashes, and you don’t know what you’ve done to cause the crash. This would be so frustrating. Why is Windows 10 crashing? There are carious causes for this problem, such as corrupted files or hardware faulty. But don’t panic! There are workarounds to fix the problem. Before throwing your computer out of the window, try these solutions. Here are the solutions that have helped people resolved the crashing issues. You shouldn’t have to try them all; just work your way down the list until everything’s working again. 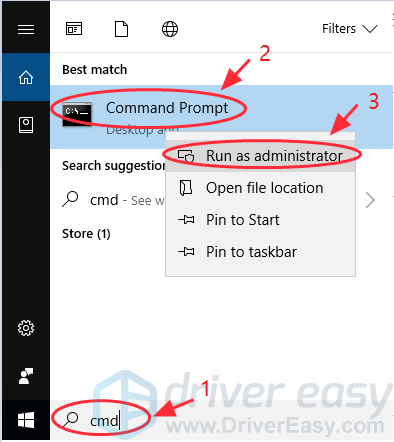 Note: if you can NOT be logged into your Windows computer, you should enter Safe Mode at first, then try these solutions. 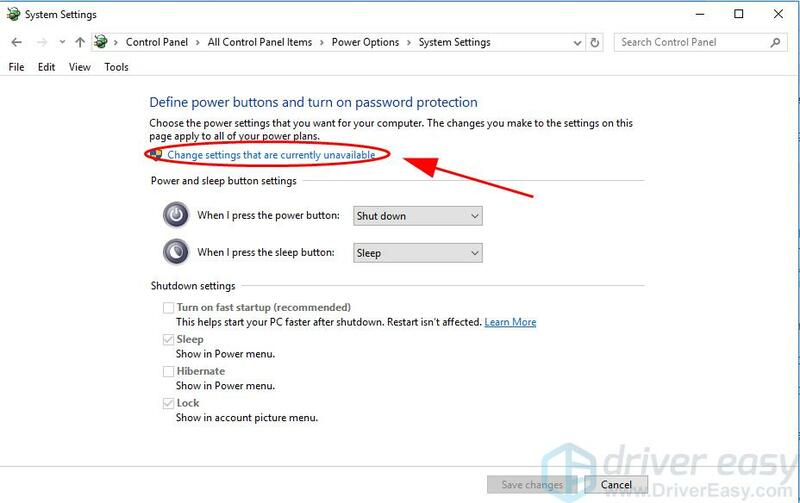 You can check this post about How to enter Safe Mode in Windows 10. If you’ve connected any external device to your computer, it’s possible to cause the Windows system crash, because there may be a problem of the communication between your device and the Windows 10 system. You should unplug or disconnect the external devices, such as headset, Bluetooth, SSD, then restart your computer to see if it fixes the Windows 10 crashing issue. If your computer stops crashing, you should have resolved your problem. Then you can connect the external device once a time, and reboot your computer, in order to locate the cause. 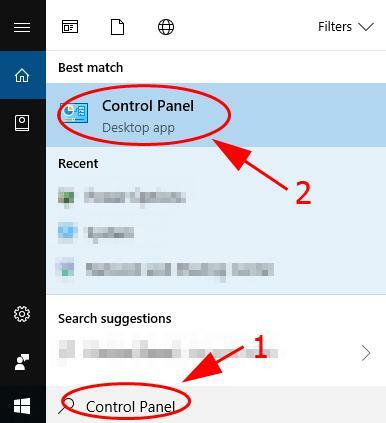 1) Type Control Panel from the search box on your desktop, and click Control Panel to open it. 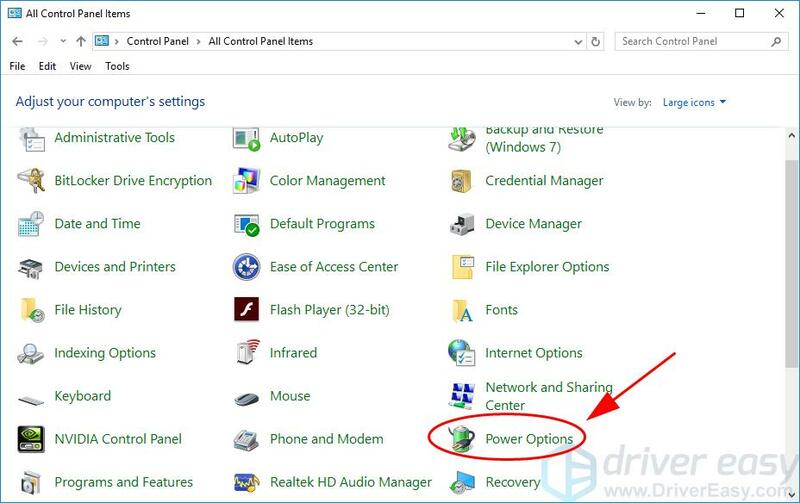 2) Click Power Options (be sure to view Control Panel by small icons or large icons). 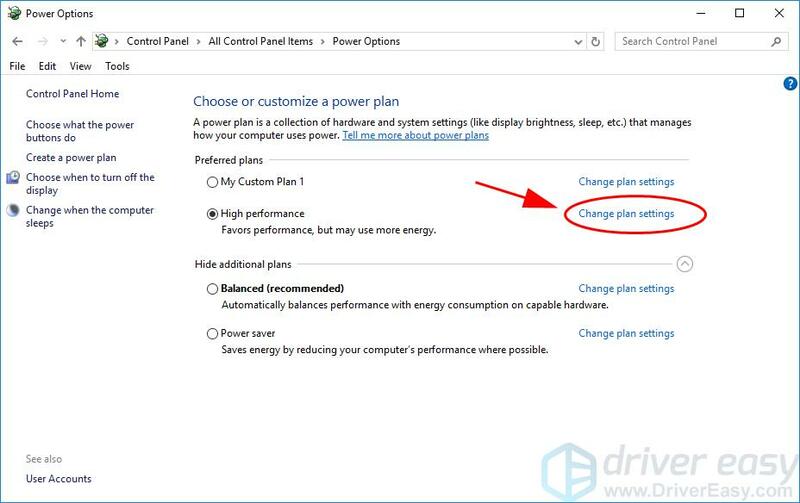 3) Click Change plan settings for whichever power plan you have selected. In my case I click Change plan settings for High Performance. 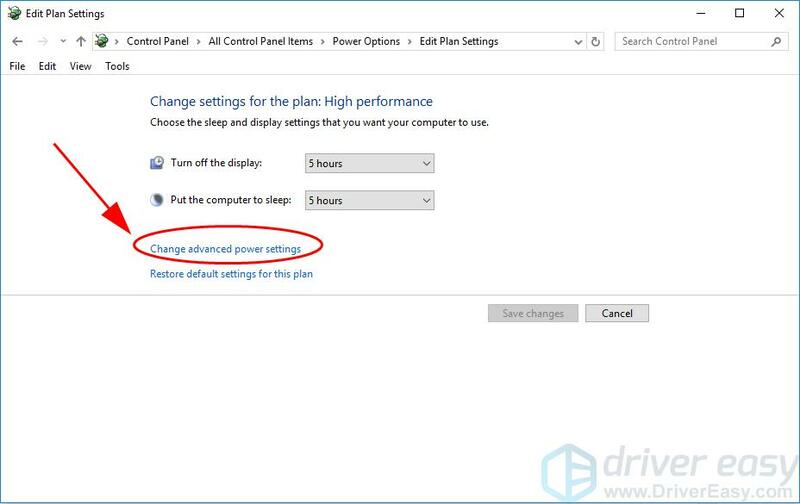 4) Click Change advanced power settings. 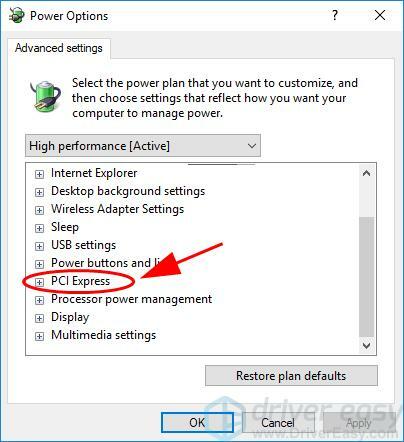 5) Scroll down and double click PCI Express to expand it. 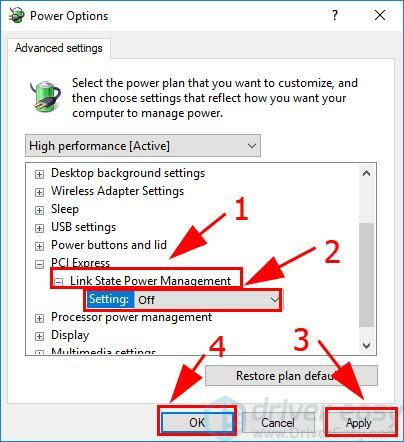 6) Double click Link State Power Management, and change its statue to Off. 7) Click Apply and OK to save the settings. Restart your computer and it should fix the Windows 10 crashing issue. 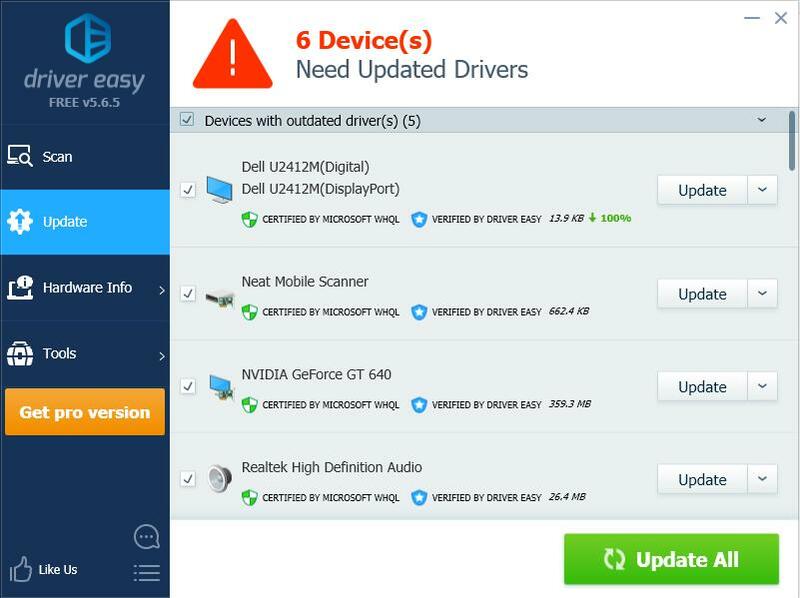 A missing or outdated driver in your computer can cause your system crashing, so you should keep the drivers in your computer up to date, and update those that are out of date. 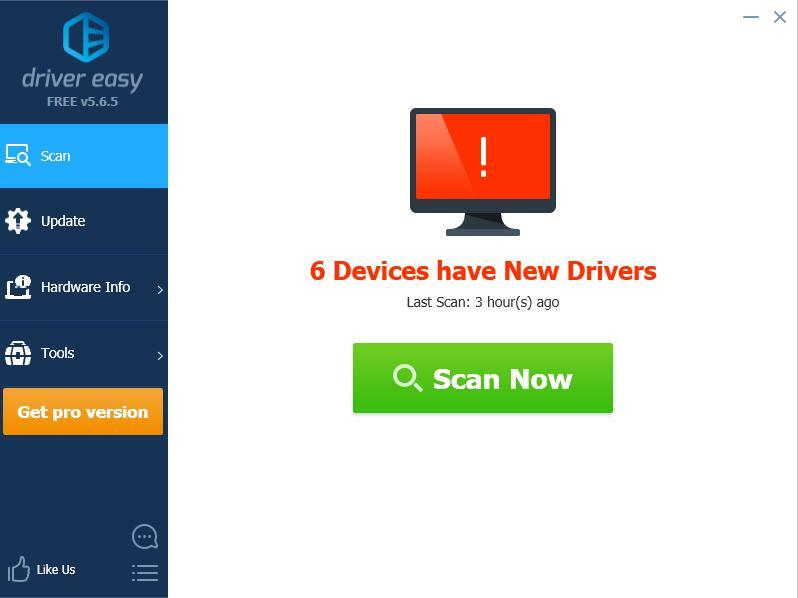 Manually update the driver: you can go the manufacturer’s website of your hardware device, find the latest driver that is compatible with your operating system, then download and install it in your computer. This requires time and computer skills. 3) Click the Update button next to the flagged device to automatically download the correct version of the driver (you can do this with the FREE version), then install the driver in your computer. 1) Type cmd in the search box on your desktop. Right-click Command Prompt (or cmd if you’re using Windows 7) to select Run as administrator, and then click Yes to verify UAC. 2) Once you see the command prompt, type sfc /scannow and press Enter. 3) Windows will now verify the system files, and automatically fix any issues. 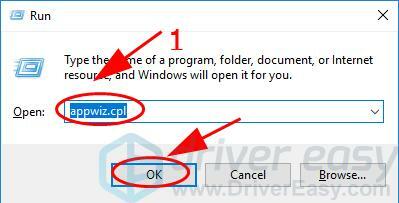 4) Once verification is complete, exit the Command Prompt and try to launch the program that was giving you the error. If Windows 10 still crashes, don’t worry. We have something else to try. If your Windows 10 computer is infected with malware or virus, the virus will crash your computer every now and then. So it’s necessary to run a full scan through the system. Unfortunately, Windows defender alone may not be enough, so you should also try a third party antivirus program, like McAfee or Norton. If any problem has been detected, follow the instructions provided by the antivirus program to fix the problem. Then restart your computer. 3) Click Choose what the power buttons do on the left. 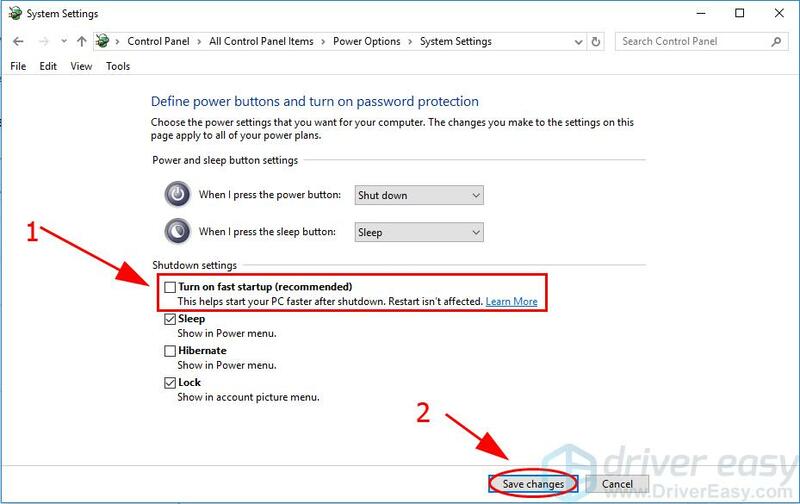 4) If the Shutdown settings is grayed out and can’t be changed, click Change settings that are currently unavailable. 5) Then uncheck the box next to Turn on fast startup (recommended). And click Save changes. Restart your computer and see if it fixes the Windows 10 crash issues. If you’ve recently installed a new application or program, or if you’ve upgraded Windows system, it’s likely to cause the Windows 10 crashing issue. So you can roll back to the previous state. If you’ve installed new programs or applications, uninstall them. and R at the same time to invoke the Run box. 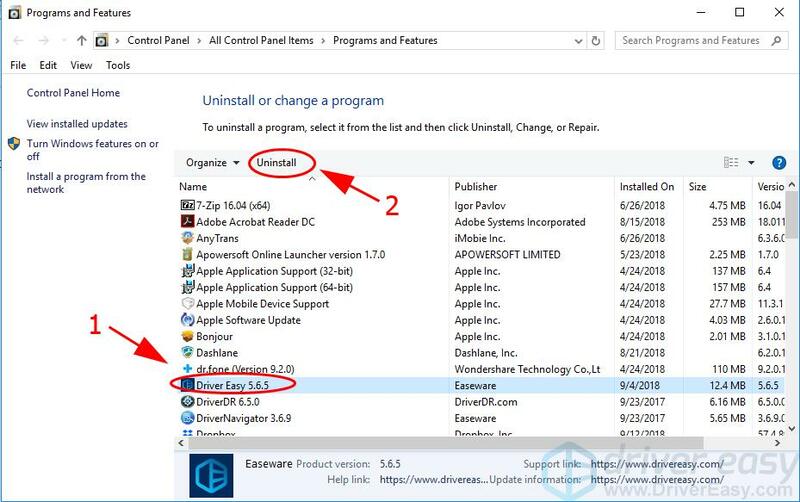 3) Select the program/application that you recently installed, and Uninstall it. You’ll need to repeat the uninstallation if there are more than one applications. Then restart your computer to fix the crashing issue. 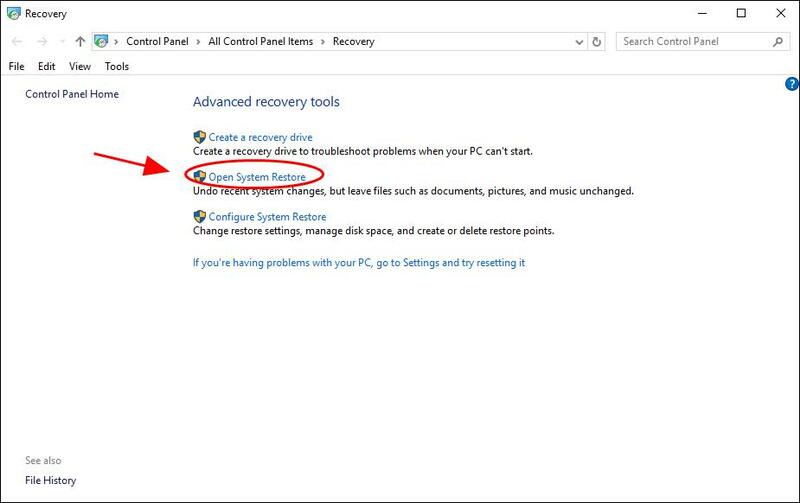 You can resolve Windows 10 crashing by restoring your system to a previous state. To do so, you should use the System Restore feature. 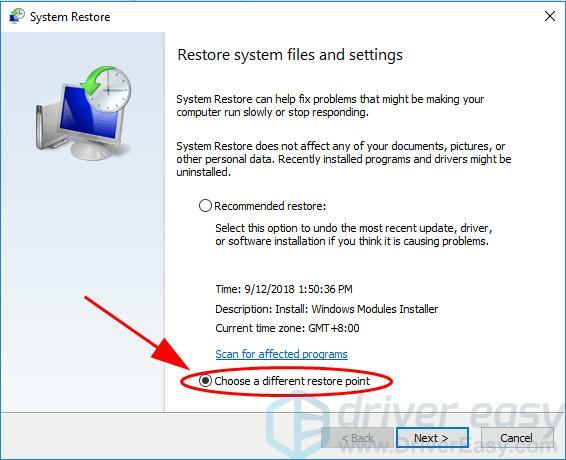 Note: there should be a system restore point created on your system before your can try this solution. 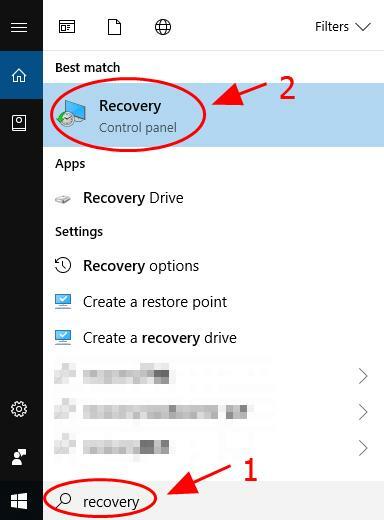 1) Type recovery in the search box on your desktop, and click Recovery in the list of results. 2) Click Open System Restore. 3) Click Choose a different restore point, and select the restore point before the system crash occurs. Follow the on-screen instructions to finish the restore. 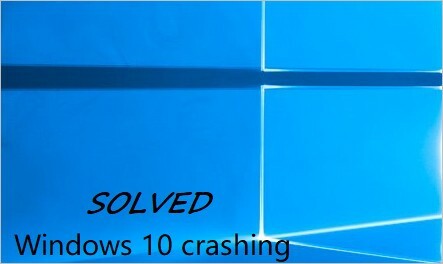 So there you have it – seven effective solutions to fix Windows 10 crashing issues in your computer. Hope this post comes in handy and helps resolve your problem.